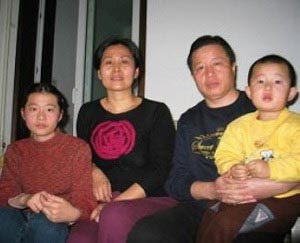 Gao with his family in January 2009. For the first time since his most recent forced disappearance 20 months ago, the whereabouts of human rights lawyer Gao Zhisheng has been confirmed, reports ChinaAid. Gao Zhisheng's older brother, Gao Zhiyi, received written notification of Gao's incarceration in Shaya Prison in the Xinjiang Uyghur Autonomous Region in far western China. The notification was signed and dated by the prison on December 19. Gao Zhisheng has been repeatedly kidnapped, arrested, imprisoned and tortured by Chinese authorities for defending the persecuted (for more, click here). He disappeared into police custody in April 2010, the most recent in a series of forced disappearances since his 2006 conviction on a subversion charge. On December 16, just days before his five-year probation period was to have ended, the Chinese government announced that it was sending him to prison for three years for violating his probation. It was the first word that he was still alive, but no information of his condition was released. Thank the Lord that Gao's family has received word on his whereabouts. Pray the Lord will strengthen and sustain him and his family. Pray that Gao will be given the grace to exemplify the love of God through consistent love and prayer for those who persecute him (Matthew 5:43-48). 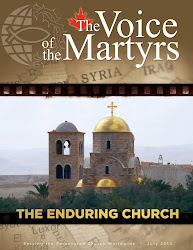 For more information on China's suffering Church, click here. To post a prayer for Gao and his family on our Persecuted Church Prayer Wall, click here.